WhyArts was presented with Collective for Youth’s 2018 Outstanding Provider Award for programming at the annual Lights On celebration Oct. 6 at Sapp Fieldhouse. The event highlighted the activities and providers in all 31 of Collective for Youth’s after school programs each school day between 3:00 and 6:00pm. Lights On Afterschool takes place in hundreds of locations across the country. These events highlight the importance of high quality after school programs and the youth who attend them. 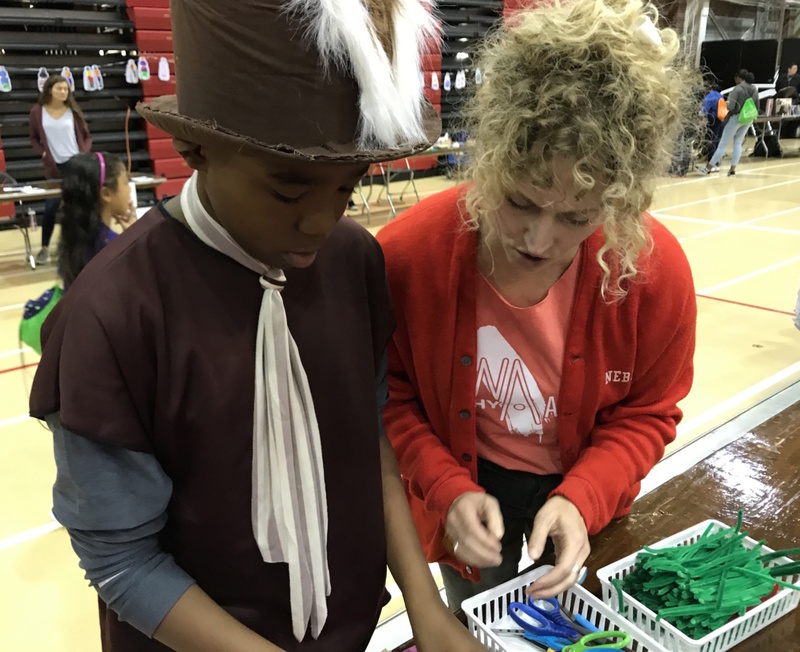 Following the award ceremony, WhyArts artists Holly Lukasiewicz, Kim Jubenville and intern Haley Jessen helped Lights On attendees create hanging gardens out of wire and tissue paper, which will be displayed at Collective for Youth.